It’s summer, and for the residential real estate market, that means it’s the height of the buying and selling season. With low supply levels, home prices continue to climb and Las Vegas is indeed a seller’s market. Thinkstock Flooring is your home’s first impression, so replace worn carpet with laminate, wood or tile. Thinkstock A stainless-steel appliance package can change the entire complexion of the kitchen. Thinkstock A new vanity can be relatively inexpensive and give the bathroom a needed lift. However, if you’re home isn’t up-to-date or has some glaring cosmetic flaws, you could still find yourself seeing offer prices lower than you expect, or you may even have trouble getting showings in the first place. Here, a few experts shed light on how to prioritize fixes and upgrades to maximize your selling price. Plain and simple, your flooring is your home’s first impression. 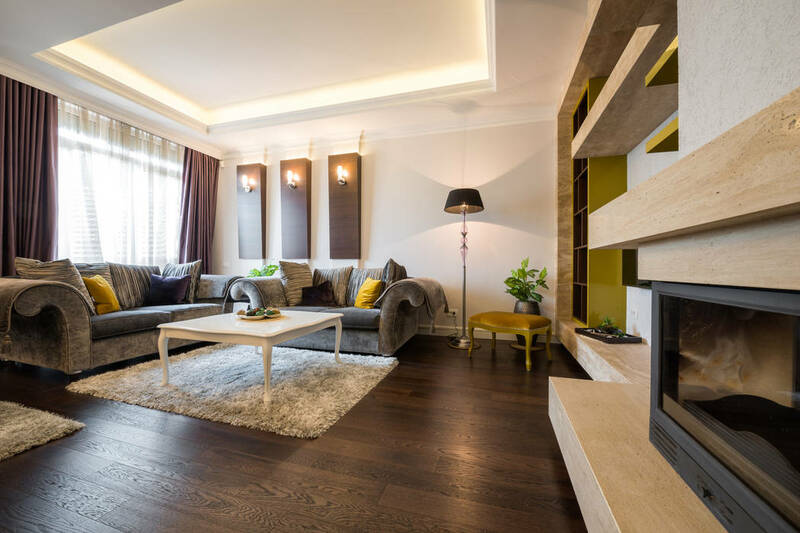 Replacing carpet with laminate, wood or tile will freshen up your home and boost your chances of increasing your selling price, says Akilah Rogers, general manager for Opendoor, in Las Vegas. The mantra for every home improvement television show for the past two decades has been to make sure kitchens and bathrooms are up-to-date and show well. That’s true, but watch your budget, experts say. Kitchens and bathroom work can get expensive, and there’s no guarantee your investment will pay off with a higher selling price. 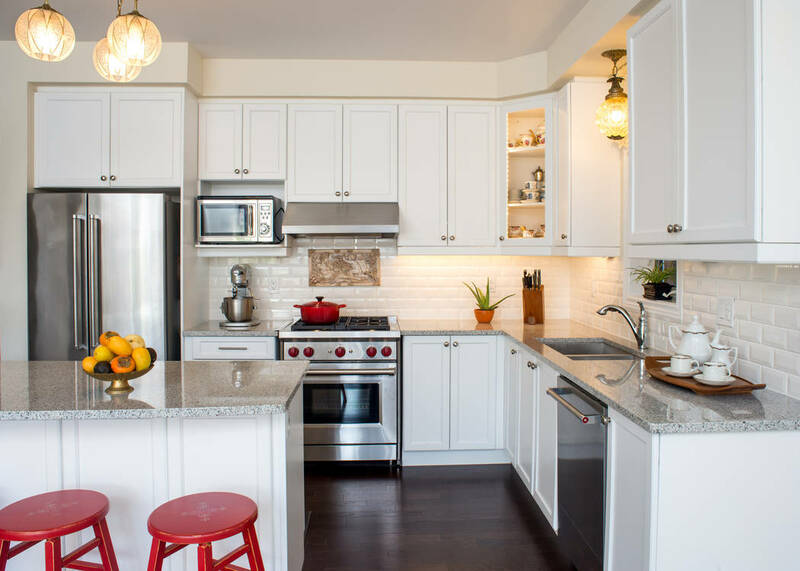 Keep a few things in mind when assessing your kitchen before you sell. Granite counters are still a hit, and if it means replacing old worn Formica or tile counters, they may be a good investment, Rogers said. There are less expensive options, such as prefabricated granite, that are more affordable. Watch out for higher-priced options, especially if your home is in a lower price point. “I always say ‘match materials to the price point of your home.’ If it’s a $150,000 home, you don’t want to opt for the highest cost grade. But if it’s $500,000, it’s higher end, so you should,” Rogers said. Rogers also says an inexpensive stainless-steel appliance package could also work wonders for a kitchen. “People are going to feel like the home is worth more and they will pay more for the home,” he added. Trish Nash, corporate broker and owner of Signature Gallery of Homes in Las Vegas, recently worked with a client who had high-quality counters and cabinets, but outdated appliances. She suggested a stainless-steel appliance package. For older cabinets, resurfacing or painting can do the trick, but if you’re not handy, it may prove to be a more complicated job than anticipated. David Houle, broker and owner of David Houle Realty Group and owner of the LasVegasHomeShop.com website, has seen success with some cabinet painting projects, but he, too, cautions sellers when spending in the kitchen. “It (painting cabinets) might even add some character if you put … handles on them. However, I do think that it is easy to spend too much … or spend where it is not necessarily going to net you more in the end,” he said. In bathrooms, vanities and floors are the important areas to assess, Rogers added. A new vanity can be relatively inexpensive and give the space a needed lift. If your home has carpet in the bathroom (some people still do this), replace with tile or a water-resistant laminate, she said. In the bathroom, pay attention to areas where water may collect, Nash said. Baseboards with water damage should be replaced before putting the home on the market. Caulking the shower and tub areas is a must, and looking under sinks for stains left behind by past leaks is another important measure. Address those stains before putting the house on the market, otherwise, an inspector or buyer will start asking questions, Nash said. And if revamping the bathroom is not in the budget, Houle offers one concession. 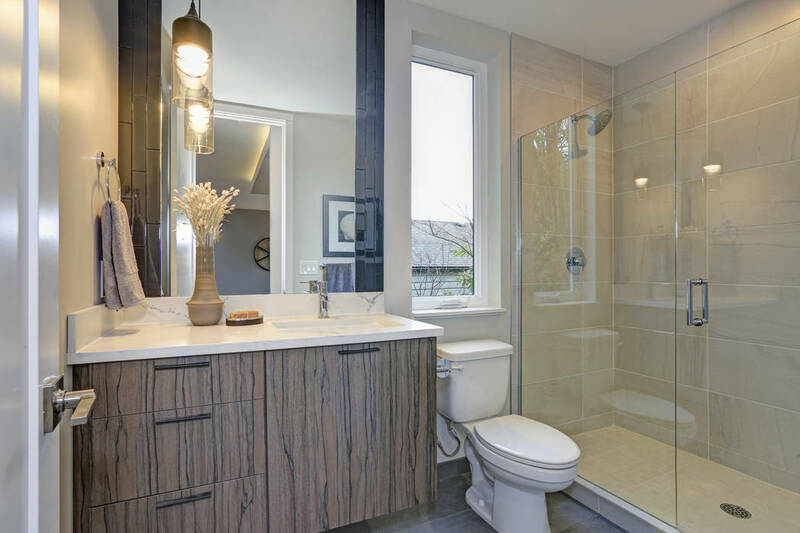 “If you think the bathroom needs a serious upgrade or the kitchen for that matter … let the asking price reflect that it seriously needs an upgrade,” he said. n Repairs: Be honest about your home’s condition, especially if the air conditioner needs work. “This is an area where I say spend the money,” Rogers said. If a home feels hot or muggy inside, it will negatively affect any showing. As Nash already noted, pay attention to other areas of the home — under sinks and elsewhere — that may have seen water damage in the past. Past water heater failures are one problem area Nash encounters. If when the water heater failed there was drywall damage at the base, too often, homeowners overlook fixing the drywall, she said. “That is something an inspector will call out on a report,” she added. n The walk from the street: Put yourself in the shoes of the buyer and walk from the street to your front door. Are there dead bushes? Do you need to add rocks? How’s the paint? Are the windows clean? At the front door, are there cobwebs? A dirty doormat? These are just a few of the questions Nash asks owners to ask themselves. “When that (real estate) agent is opening the door and the buyers are standing behind them, these are the things they’re seeing and they’re immediately forming an opinion,” Nash said. n Decluttering: Many real estate pros emphasize this point first and foremost with clients. Some sellers will purge and give items to charity, others have garage sales, and some will rent a storage unit to store furniture or items cluttering up the space. “People really need to feel the space in your home,” Nash said. n Scent, cleanliness: It’s one of the most uncomfortable conversations a real estate agent has with a client, says Nash, but homeowners often appreciate the honesty. Does your home smell? You may not realize it, but it might. Nash has heard her share of feedback from showings about dog smells, cat smells, cigarette smoke. Few things turn off a buyer faster. “Some smells can be very difficult to neutralize,” Nash added. Either prepare to remedy it before you put the home on the market or expect to ask for a lower price. “I always put a strong emphasis on cleanliness, especially if you have an older house; if it’s sparkling clean, then buyers get a sense that it has been well maintained over the years,” Houle said.